Here is Part 2 of our series on The Steps of Being a Writer, by Australian writer, Thomas Gregory. I hope you enjoy the series! Perhaps the most important part of the journey, no story would exist if it wasn’t for the Hero eventually setting out to fulfil their goal. Even after meeting Gandalf and understanding the importance of destroying the ring, Frodo Baggins could have stayed in the Shire. And so, for us as authors, the most important step in our journey of writing a book is the actual writing. Putting pen to paper, or typing those first lines. We know it will be unlikely those first words will survive the many rewrites and edits that invariably occur, but we write them anyway. For some of us, this is a simple process. Ian Fleming wrote “Casino Royale” in two months while on holidays. For others, the process is long and arduous. JRR Tolkien’s tale of Frodo and his friends took 12 years of writing to complete, despite Tolkien already finding success in “The Hobbit”. It doesn’t matter how long we take, all that matters is that we write. Often taking up the majority of pages in a great epic (or books, even, in cases of series like Harry Potter or The Dark Tower), heroes invariably find themselves facing many challenges, but rarely face them alone. Along the way, they have made friend and allies and grown from smaller challenges. Harry Potter had Ron and Hermione with him just as Hamlet had Horatio by his side and D’artagnan had his three musketeers. Likewise, rarely do authors write with no support. This support may be from writer’s groups (both online and outside of our own houses), friends, and often most importantly, partners. It would be hard to believe Vladimir Nabokov would be known without his long-suffering wife and editor supporting him. Likewise, it is only thanks to his wife, Tabitha, pulling a draft out of a trash can, that Stephen King’s Carrie can be on our bookshelves. For all that George Eliot faced being a female writer in Victorian England, her husband’s support got her through. And while the trials we face are not dragons and trolls, our lives have a habit of getting in the way of us. The break out of World War 2 delayed “The Catcher in the Rye” for over a decade, while “Gone with the Wind” took ten years to write as Mitchell was constantly plagued with self-doubt, and kept even the fact she was writing the novel away from her friends and family. How we deal with the challenges we face every day as writers, and who we get support from along the way, often determine our success more than any grand idea or well-thumbed book of advice. At some point in the writing process, one realises that their first draft is finished. They face down anywhere between forty and two hundred words of blood, sweat and tears, knowing that they have a diamond. Sure, it may have sharp jagged edges, and looks closer to some cloudy rock than any thing of beauty, but it is most certainly a diamond. It’s then we realise that we have only now come to face the real challenge. Dorothy must now face the Wicked Witch of the West, While Hamlet puts into motion his plot to avenge his father. For authors, this is where we painfully cut away that which should not be. Those parts of Michelangelo’s block of clay that are not the Lion. It is a painful process. One so painful it often cannot be done alone. Kerouac’s first novel, “Town and City” had over four hundred pages removed from his editors while Chuck Palahniuk’s “Invisible Monsters” returned to the drawing board so often that it was eventually released as his second novel, rather than his first. 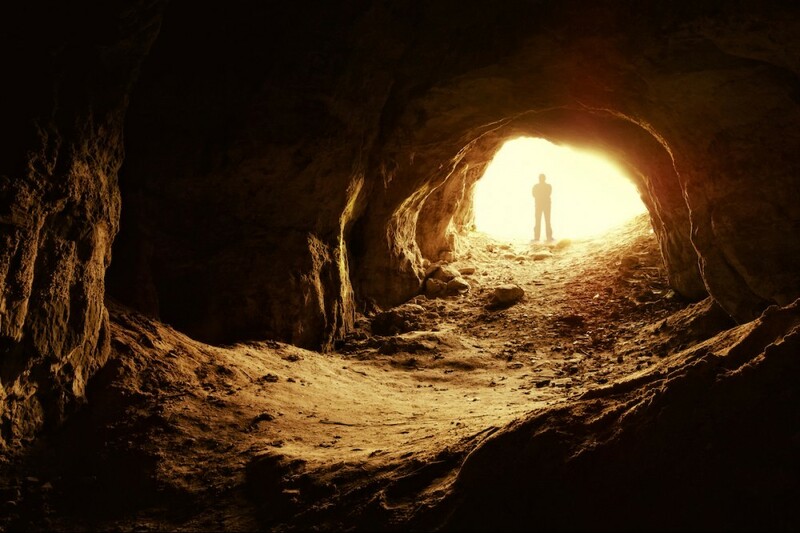 As scary as the darkness may seem, we know that only by entering the cave and being willing to risk our work, may we come out the other side with the treasure. The Final Step for the writer. David has his sling and collected his stone, but can he face Goliath? Simba has grown to adulthood, but is he ready to take his place as King of the Jungle? Our book is finished but we continue to question. Is it yet good enough for the world? Some authors never could. Franz Kafka died with a wish for his works to be destroyed, while Robert Louis Stevenson destroyed his first draft of “Dr Jekyll and Mr Hyde”, distraught that his wife did not like it. At some point, we must accept that comma, or lack thereof, slay the monster of doubt once and for all, and celebrate our survival. Well, that’s it for this week. I hope you enjoyed this Part 2 of this 3 Part Series. I’d love to hear your thoughts on the writer’s own hero journey; please leave me a comment below and I’ll get back to you as soon as I can. And don’t forget to check back next week for Part 3! If you missed Part 1 – check it out here:12 Steps of Being a Writer Part 1. Hello Thomas ,I absolutely love what I read in this insightful article because it is full of great information. This is fascinating and interesting to me.following every of your post is a great blessing for me. It has indeed changed my writing skills. After reading and studying part 1 of steps in becoming a writer I have been making use of those steps. Thanks for the coaching.